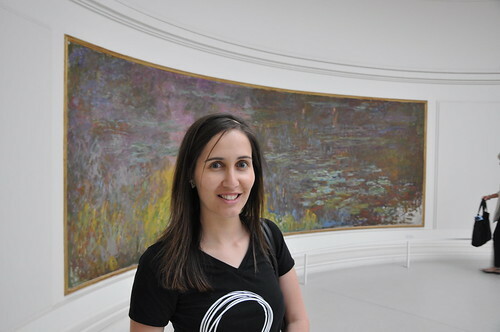 When I last went to Paris with my family, Musee de l’Orangerie was closed for renovations. We were pretty bummed at the time, but found other things to do. So this time, Rob and I thought we’d go and see it and the Monet Water Lilies inside. 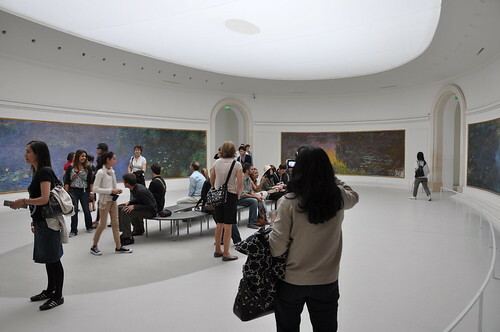 What I didn’t realise when I got there was that Monet ‘s works were presented in 2 rounded rooms. They were beautiful. In these 2 rounded rooms are four large paintings. 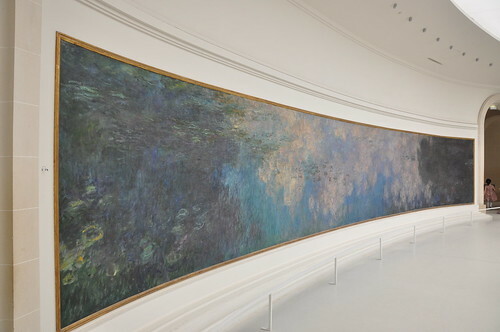 These paintings – The Water Lilies – were gifted to France right after the First World War. 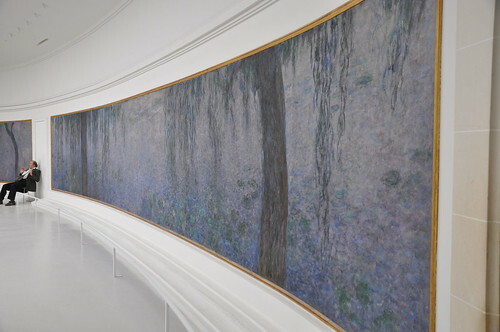 Monet wanted to give Parisians a peaceful haven by inviting them to contemplate the infinite before painted nature. The Water Lilies first opened to the public in 1927, a few months after the artist’s death. Monet tends to not represent the horizon, nor the top or the bottom of the frame. The elements – water, air, sky, earth – become intertwined in a composition without perspective, where the water lily flowers provide the rhythm. Amazing. The second room is distinguished from the first by the presence of the weeping willow trees. Here again, there is no horizon and no perspective. We only see part of the willows. They were amazing works to see and I’d recommend the museum to anyone who’s even curious about Monet’s Water Lilies.